ISLAMABAD: Describing the Indian attempts to abrogate the Article 35-A of its Constitution, which confers special status on Indian-held Kashmir (IHK) as a direct violation of the UN Security Council (UNSC) resolutions, Pakistan on Thursday said that it had consistently been raising this issue at the international forums and would continue to do so. “This is not the first time that India is trying to change the demography of the disputed Kashmiri state. They have been trying to do it for the last 70 years. This is a direct violation of the UNSC resolutions. 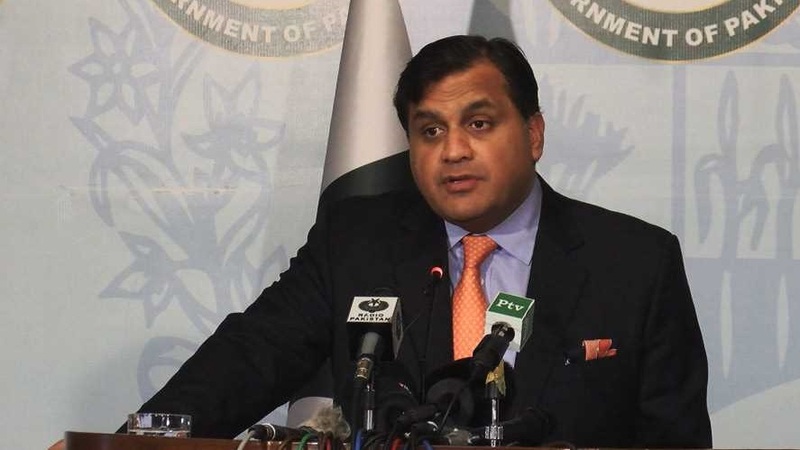 We have consistently been raising this issue,” Foreign Office spokesperson Dr Mohammad Faisal said in response to a question at the weekly press briefing. He said that India cannot hope to crush the legitimate, indigenous Kashmiri struggle by such nefarious, underhanded means. All such Indian efforts have failed previously and will continue to fail, he said. “The only solution to the Jammu Kashmir issue is through the realisation of the right to self-determination of the Kashmiris through an impartial UN-administered plebiscite as per the UNSC resolutions,” he maintained. To another question, the spokesperson said that Pakistan had vocally raised the Indian atrocities against innocent Kashmiris at every forum, including the Human Rights Council. “The recent UN OHCHR (Office of the United Nations High Commissioner for Human Rights) report highlighting the Indian atrocities, recommending an international commission of inquiry to look into the human rights violations in Jammu Kashmir is a validation of our consistent efforts and position,” he added. Dr Faisal said that Pakistan welcomes the stance of the OHCHR and was ready to welcome the inquiry commission to Azad Jammu Kashmir and Gilgit Baltistan. “We will continue to sensitise the international community to urge India to halt the bloodshed in Kashmir,” he added. To a question about the reports that the Indian Border Security Force (BSF) was constructing 50 new surveillance posts along the border in the Gurdaspur sector, the spokesperson said that Pakistan believed in a peaceful neighbourhood. “Our armed forces are fully equipped and prepared to defend the motherland against any threat, including the strengthening of surveillance,” he added. To another question, he said that the abhorrent maltreatment of Indian minorities, including Muslims, was a reality. “Saner voices in India itself are speaking out against it, but cow vigilantes and mob lynching continue to rise,” he said. “It is in India’s best interest to put an end to the strong existing fascism in India. It is to India’s own detriment to encourage such extremism and fascist tendencies which are the ‘acceptable norm’ in India,” he added.